Mediterranean cuisine: Fresh herbs, aromatic fruit, grilled fish, meat and pasta - the Mediterranean area is not only one of the most popular travel destinations, but also a synonym for good food. La dolce vita - the eternal dream of a life with sunshine, beach and sea - is inseparably linked to the smell of thyme, rosemary, basil and olive oil. 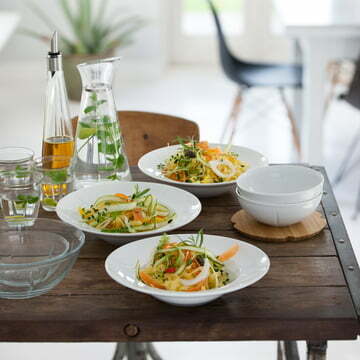 To help you bring a little holiday into your home we have collected a selection of items to prepare delicious pasta, crispy pizza and fresh salads. The Southern Europeans take time to eat. Many small dishes extend the dining experience and make it a social institution - starting with the aperitif. 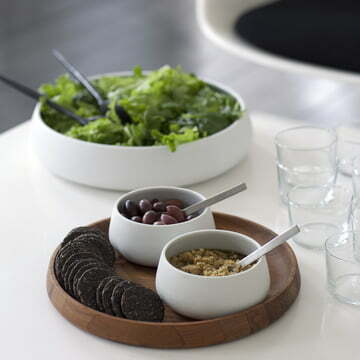 Serve tasty delicacies like olives or chips. Compliment that with a cool beer, tingling Prosecco or a fresh (alcohol-free) cocktail. 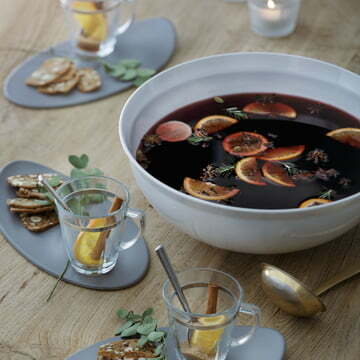 Present the aperitif in beautiful bowls and stylish glasses. What is characteristic for the Mediterranean cuisine is the incomparable taste of sun-ripened vegetables and fruits. 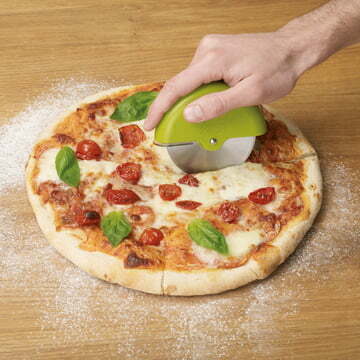 Therefore, be sure to only use ingredients of good quality. 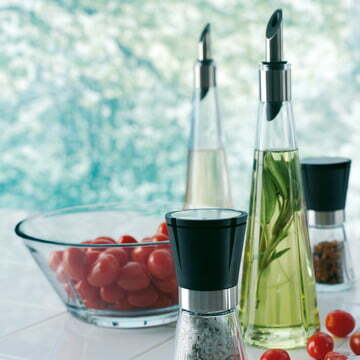 Fresh herbs as well as olive oil ensure joyful moments. With the right kitchen helpers you can cook meals like on holiday. We have put together a variety of practical items to help you avoid wanderlust and cook Mediterranean. And here you will find the perfect recipe for a baked potato with dried tomatoes. 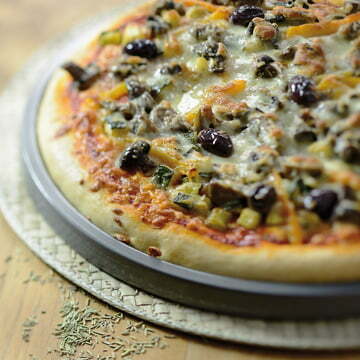 Have fun with Mediterranean cooking!